Drain Ratz Montana Plumbers Services offer expert bathroom fitting services, including shower, bath and spa fitting. We can do small jobs to major bathroom renovation projects. Drain Ratz Montana Plumbers can provide you with an unequalled level of service and expertise, including tiling, plastering, flooring and electrical. We specialize in full bathroom renovations and will project manage your bathroom from start to finish. This will include the design and help with sourcing the correct materials and products, plumbing, plastering, electrics, tiling and flooring. We are happy to supply materials and can offer great discounts on most products. Drain Ratz Montana Plumbers are expert on bathroom to wet room conversions and as full bathroom renovations we will manage the whole process from start to finish. A wet room is waterproofed or tanked bathroom which includes a shower area. It is normally athe the same level of the floor. Where does the water go to? The water flows away through a flush drain within a shower area. In other words, it’s an open plan and thus removes the need for an enclosure or a walk in shower. 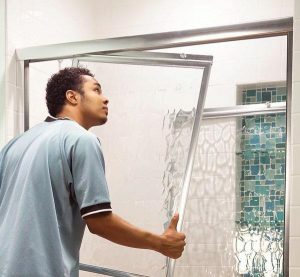 Some people prefer to install a glass door to prevent splashing water from splashing outside the shower, As the floor of the showering area is completely level with the rest of the room, wet rooms are ideal for those with mobility issues who are able to move effortlessly in and out of walk in showers. A wet room is a great way of utilizing space effectively and can be installed on both the ground and upper floors of your home, whether the floor is of timber or concrete construction. It requires less maintenance and cleaning than a usual bathroom thanks to the greater area reached by the shower water, and this makes a wet room a hygienic option and suitable for all of the family. Benefits of a wet room? They create the illusion of space in even the smallest of bathrooms. Wet rooms in loft conversions are fast becoming a popular choice for families looking to extend their living space. Wet rooms can be fitted throughout the house on timber or concrete floors, using the appropriate floor formers and drainage systems depending on the floor build up. Drain Ratz Montana Plumbers will ensure that any wet room ensuring any watertight. Maintenance and cleaning are easier than a traditional bathroom. The clean, minimal lines of a wet room, leaves you with more time to enjoy your shower. Real Estate, suggests that adding a new bathroom to your home will add an extra 2.88% to the value of it. A wet room is likely to add even more. Montanna Drain Ratz Plumbers are experts at installing bath screens. Montanna Drain Ratz Plumbers can offer you an efficient service at great value for money and prices. We not only guarantee our work but we offer a same day or a next day availability. We charge ‘by time’ to install a bath screen as not all situation are the same. The plumber will first assess the situation and give you a quot. On acceptance of the quote and an upfront deposit payment of 70%, the plumber will continue. Drain Ratz Montana Plumbers are experts at installing shower enclosures. We replace existing shower doors as well as new installations.